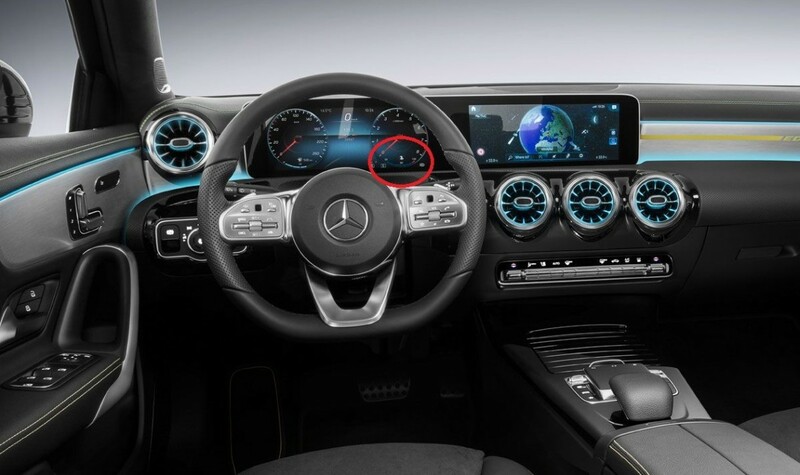 At the end of November, Mercedes-Benz anticipated the unveiling of the new 2018 Mercedes A-class by showing the first photos of the dashboard. The interior was in itself striking enough, but now also seems to reveal a new plug-in hybrid variant. Mercedes did not stop at a single photo, but showed several versions of the A-class. Within the digital instruments of one of the cars shown, something remarkable is visible. 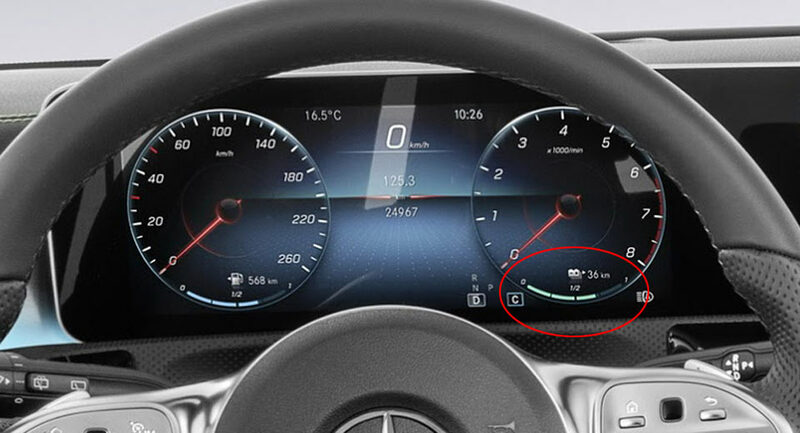 The A-Class in question does not have a motor temperature gauge beneath the rev-counter, but instead a second range indicator featuring a battery symbol. If you look closely, you will see that the second ‘tank’ – for battery – is filled for two thirds and thus offers another 36 kilometers of action radius. With the battery fully-charged, the future plug-in hybrid A-Class should offer a 50 km (31 mile) range. Meanwhile, the official photos on Media Daimler have been adapted. There are still several variants of the A-class in the Mercedes photobook, but both cars now have a temperature gauge. This only seems to confirm the plug-in hybrid theory. We wait patiently, because the A-Class will show up completely soon. Those who are curious about the exterior styling can already take a first look HERE.